Rahul Gandhi's comments came as several Dalit organisations called for a nation-wide shutdown against the dilution of arrest provisions under the SC/ST Atrocities Act by the Supreme Court. 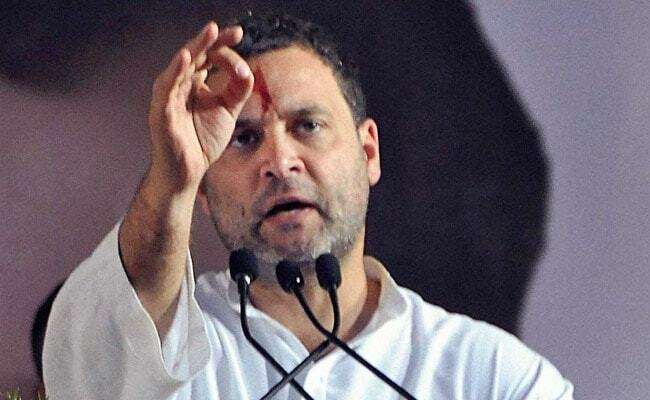 New Delhi: Congress president Rahul Gandhi today slammed the RSS and the BJP for the plight of Dalits and said he saluted "brothers and sisters" from the community who have hit the streets to demand protection of their rights from the Modi government. Mr Gandhi's comments came as several Dalit organisations called for a nation-wide shutdown against the dilution of arrest provisions under the SC/ST Atrocities Act by the Supreme Court. "It is in the DNA of the RSS/BJP to keep Dalits at the lowest level in Indian society. Any one who challenges this thought is crushed with violence." "Our Dalit brothers and sisters are today on the streets demanding protection of their rights from the Modi Government. We salute them," he tweeted in Hindi. Mr Gandhi and his Congress party have slammed the BJP and the Modi government for its anti-Dalit mindset. The Supreme Court on March 20 diluted the provisions of the Act and said government servants should not be arrested without prior sanction and private citizens, too, should be arrested only after an inquiry under the law. The centre has said it will move a review petition against the Supreme Court verdict today.